I love that my students constantly draw me pictures and write me notes, but it can get cumbersome trying to keep track of all of it! I used to display it on one of my cabinets, though I secretly hated how messy and cluttered it looked. When I saw this idea on the Clutter-Free Classroom website, I knew it would be perfect for me! I went out the next day to buy a binder and sheet protectors. Now, I never have to decide which artwork goes on display--there is enough room in the binder for all of it! 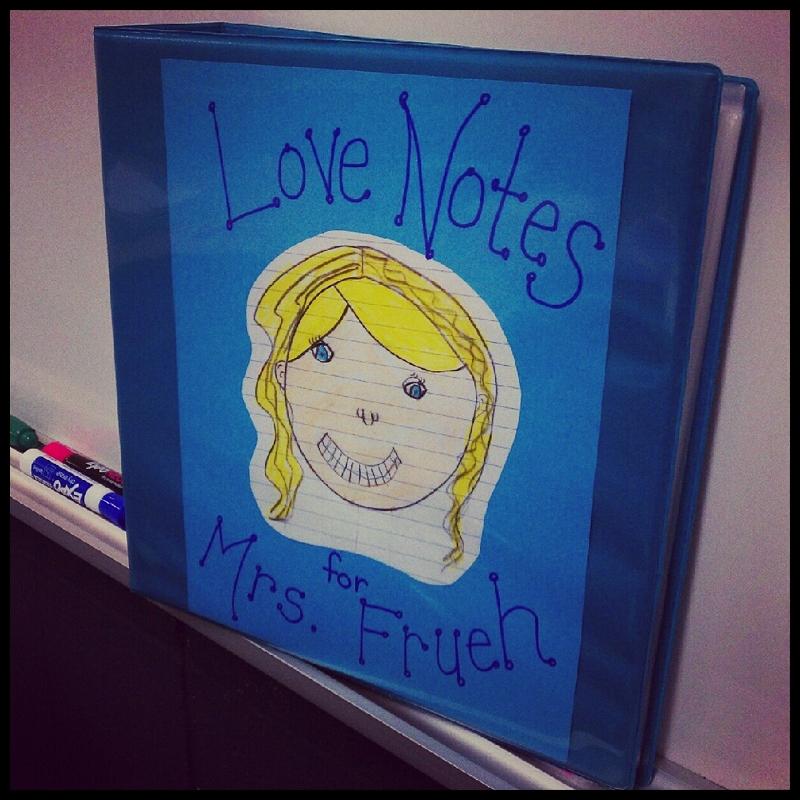 The binder is on a prominent display in the room, and the kids get so excited to add to it. They love that they can look back through the pages and see something they made for me earlier in the year. They also love seeing old letters or drawings that previous students made for me. 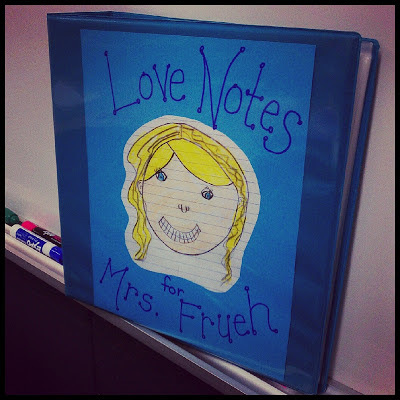 I highly recommend this strategy for organizing all their delightful notes and drawings from my kiddos!